Why is SEO Important For Arizona Businesses? With Arizona being one of the fastest growing states in the US, competition is starting to get more fierce. You'll need to develop a strong and focused SEO strategy that will help you drive traffic, increase your revenue and ultimately stay one step ahead of your competition. Our staff at Titan has the experience in providing Arizona's best SEO services at a competitive rate. 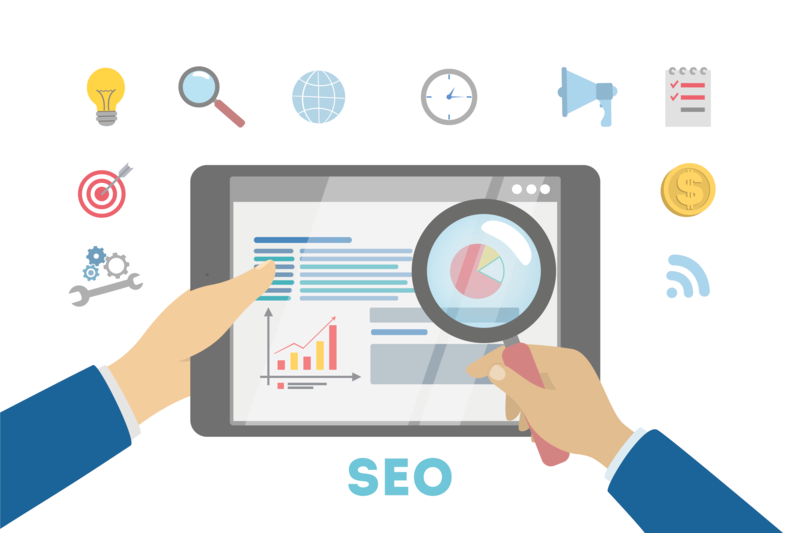 We can provide one-time services that give your business the boast it needs or develop comprehensive SEO campaigns that are sure to get you ranking amongst your competition. Local SEO, as you can gather by the name, focuses on promoting your businesses products and services to a local audience. This can be done in a variety of ways including developing and maintaining a strong Google My Business and Bing Places for Business profiles, Submitting and monitoring your companies Name, Address and Phone number (NAP) details to relevant and niche specific business directories, Obtaining and managing your companies online reviews and finally developing localized content on your website. When combined with a quality website structure, your local position in the SERPs will rise and ultimately increase your revenue. Arizona based businesses with one or more brick and mortar stores will have the best results when using Titan's Arizona SEO services. The overall goal for local SEO providers is to develop a strategy that gets your business on Google's Local Map pack and increase the local exposure your business has. Think local ice cream shop as opposed to a company providing products to customers all over the US. Traditional SEO is focused on providing your products and services to customers all over the world. Companies with either multiple locations or businesses that primarily sell online, such as ecommerce stores, benefit from traditional SEO. As you can imagine, traditional SEO is highly competitive and focuses on more general keywords, "Sporting Goods" instead of "Sporting Goods in Arizona". Due to already established brands and business in the marketplace it requires extra marketing and unfortunately a larger budget to rank high on search engine result pages or SERPs. Arizona businesses can benefit from Titan's Arizona SEO services in many ways. We have experience in building comprehensive SEO campaigns that get your business in front of potential customers. From linking building, influencer outreach, on-page, off page and everything in between, we have the tools and the knowledge to make a difference in your business. Are you ready? Let’s build something together!